Traci Henry, the University of Missouri’s Peace Corps campus representative, graduated from Mizzou in 2014 with a degree in psychology. Immediately after, she packed up her things and moved from her hometown of Columbia, Missouri, to Achuapa, a small mountain town in León, Nicaragua, to join the Peace Corps. Many Mizzou students have taken a similar path. According to the Peace Corps’ 2018 list of the top volunteer-producing colleges and universities, Mizzou is No. 22 in the country for the number of alumni serving as Peace Corps volunteers. Currently, there are 40 Missouri Tigers volunteering in countries like Ukraine, Mongolia, Indonesia, Uganda and Nicaragua. For three years Henry lived and worked in Achuapa. She co-taught in the local high schools alongside three Nicaraguan teachers, led a women’s empowerment group, taught an art class for elementary-aged students and even helped paint murals around town. On the weekends, Henry taught an advanced English class for members of the community. Her favorite memory of volunteering was the night she was set to host a showcase for an elementary school art group. On the day of the event, Henry was hanging the artwork on the walls outside when it began to rain. The artwork was flying off the walls and everything was getting wet. Henry knew that members of the community never left their houses when it rained, so she decided to cancel the event. While packing up her things, Henry noticed a whole line of umbrellas coming down the street. Despite everyone showing up soaking wet, the event was a huge success. 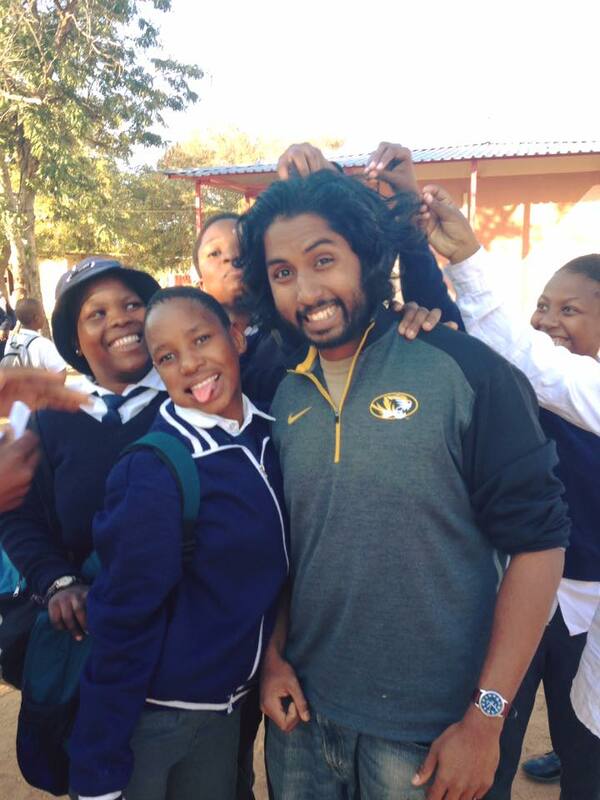 A 2016 graduate of Mizzou, Mahir Khan now serves as a Peace Corps volunteer in Botswana. Now the Mizzou Peace Corps campus representative, Henry wants to be a resource for any student interested in having an experience like hers. Among them is Mahir Khan, a 2016 graduate of the master’s program in the MU School of Health Professions and Truman School of Public Affairs, who now resides in Botswana. He also participated in an annual World AIDS Day education bike tour. Khan was inspired to change the world by watching his father, a Bangladeshi immigrant who worked tirelessly to improve the field of public health, both in the U.S. and abroad. Khan has long been service-minded. In college, he participated in Mizzou Alternative Breaks, a student-led program that sends groups of students across the United States and abroad to serve people and communities in need. He also was a member of the Muslim Student Organization and the Missouri Students Association. 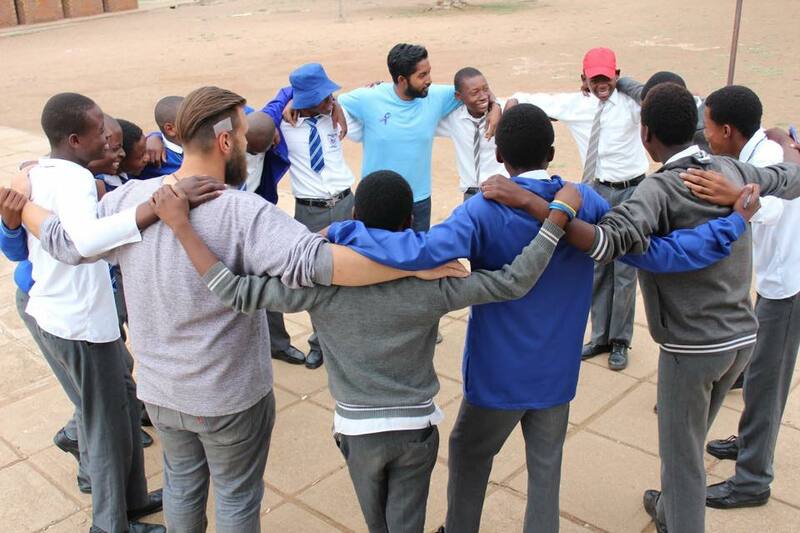 Khan’s specific focus as a volunteer is health-based education, working directly with children and families in Botswana.